My iPhone Keeps Asking For My Apple ID Password! Here's The Real Fix. You are at:Home»iPhone»Apple ID»My iPhone Keeps Asking For My Apple ID Password! Here’s The Real Fix. Your iPhone keeps prompting you to enter your Apple ID and you’re not sure why. No matter how many times you type it in, your iPhone still asks for your Apple ID. In this article, I’ll show you what to do when your iPhone keeps asking for your Apple ID password! Restarting your iPhone is the first thing to try when it keeps asking for your Apple ID password. Your iPhone may just be experiencing a minor software glitch! Press and hold the power button until slide to power off appears if you have an iPhone 8 or older model iPhone. If you have an iPhone X or newer, simultaneously press and hold the side button and either volume button until slide to power off appears. In either case, swipe the red power icon from left to right to shut down your iPhone. Wait a few moments, then press and hold the power button or the side button again until the Apple logo appears on the center of the screen to turn your iPhone back on. Sometimes when an app fails to download or update, it can get stuck in an endless loop of asking for your Apple ID password. Your iPhone always asks for your Apple ID when you install new apps. Your iPhone will also prompt you to enter your Apple ID password every time you update an app depending on how your Screen Time settings are configured. First, open App Store and tap on the Updates tab at the bottom of the display. Then, tap Update All on the right hand side of the screen. This will update all of your apps with a new update available. Next, go to your iPhone Home screen and look for apps that say “Waiting…”. These are apps waiting to be installed or updated, which could be triggering your iPhone to keep asking for your Apple ID. If an app says “Waiting…”, simply tap on its icon to begin the installation or update process. Check out our other article for more information about what to do with apps stuck waiting. It’s possible your iPhone keeps asking for your Apple ID password because it’s running an outdated version of iOS. 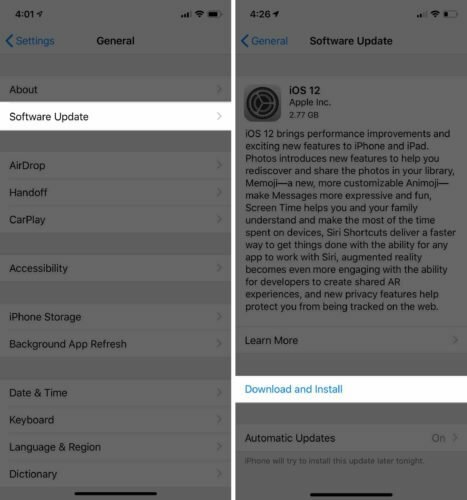 Go to Settings -> General -> Software Update and check to see if an iOS update is available. Tap Download and Install if an iOS update is available on your iPhone! Signing in and out of your Apple ID is like restarting your iPhone, but for your Apple ID. Logging out and back in may fix a glitch that’s causing your iPhone to keep asking for your Apple ID password. Open Settings and tap on your name at the top of the screen. Scroll all the way down this menu and tap Sign Out. If Find My iPhone is on, you’ll have to enter your Apple ID password to turn it off. 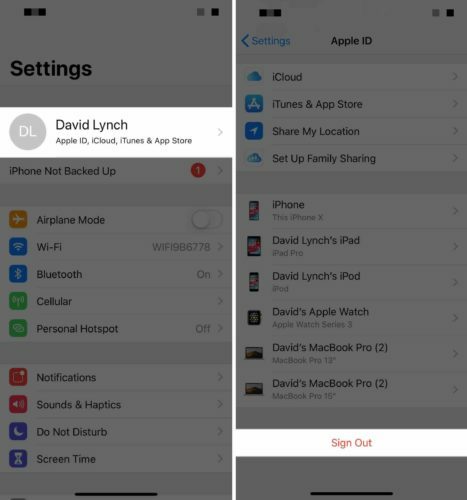 Once you’re signed out, you can tap Sign In on this same menu to log back into your Apple ID. FaceTime and iMessage are two of the most popular apps directly linked to your Apple ID. When you have any issue with your Apple ID, turning off FaceTime and iMessage may fix the problem. First, let’s turn off FaceTime. Open Settings and tap FaceTime. Then, tap the the switch next to FaceTime at the top of the menu to turn it off. Wait a couple seconds, then tap the switch again to turn FaceTime on again. 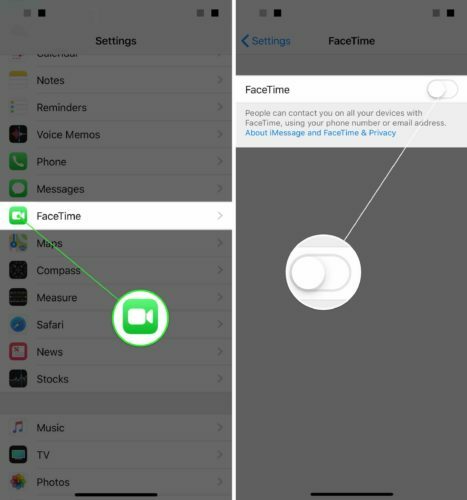 You may have to reenter your Apple ID and Apple ID password when you turn FaceTime back on. 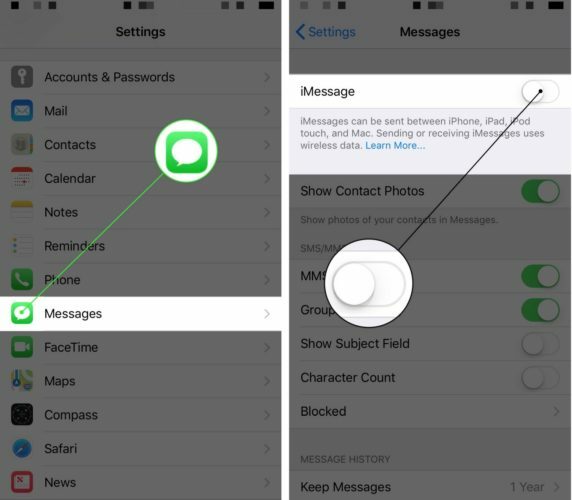 Next, turn off iMessage by opening Settings and tapping Messages. Then, tap the switch next to iMessage at the top of the screen to turn it off. Tap the switch again to turn iMessage back on. You may be asked to reenter your Apple ID and Apple ID password when you turn iMessage on again. Sometimes you’ll experience Apple ID problems on your iPhone when Apple Servers are down. Apple may be doing routine maintenance, or their servers may be experiencing heavy traffic. Check out Apple’s Server Status page and make sure there’s a green dot next to Apple ID. If the dot next to Apple ID isn’t green, you’re not the only one experiencing problems with your Apple ID! When the servers are down, there’s only one thing you can do — be patient! They’ll be up again in no time. Changing your Apple ID password can sometimes get you past a never-ending cycle of your iPhone asking for your Apple ID password. 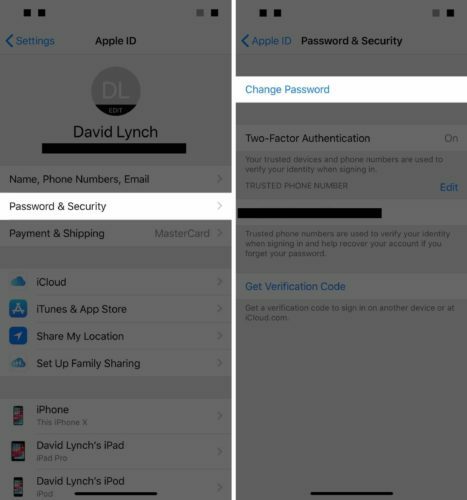 To reset your Apple ID password, open Settings and tap on your name at the top of the screen. Next, tap Password & Security -> Change Password. You’ll be prompted to enter your iPhone passcode and create a new Apple ID password. A device firmware update (DFU) restore is the deepest type of restore you can perform on your iPhone. This restore erases and reloads every line of code on your iPhone, which allows us to eliminate the possibility of a software problem. If your iPhone keeps asking for your Apple ID password after you’ve completed a DFU restore, there’s likely an issue with your Apple ID account that only an Apple employee can fix. I recommend creating an iPhone backup before putting your iPhone in DFU mode. 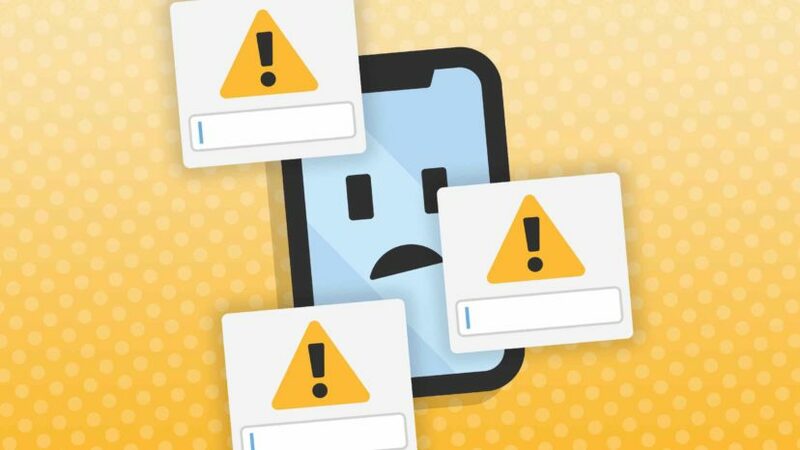 Once you have a backup, check out our other article to learn how to put your iPhone in DFU mode. Some Apple ID issues are extremely complex and can only be resolved by an Apple employee. Head to Apple’s support page and click iPhone -> Apple ID & iCloud, where you’ll have the option to set up a call with an Apple employee. You can also set up an appointment at your local Apple Store and have a Genius or tech take a look at it! Stop Asking For My Apple ID! Apple ID problems are complex, frustrating, and sometimes confusing, so I hope this article helped you fix the problem with your iPhone. If it did, share it on social media so your family, friends, and followers know what to do when their iPhone keeps asking for their Apple ID password. Feel free to ask me any other questions down below in the comments section! Next Article FaceTime Not Working On iPhone? Here’s Why & The Fix!